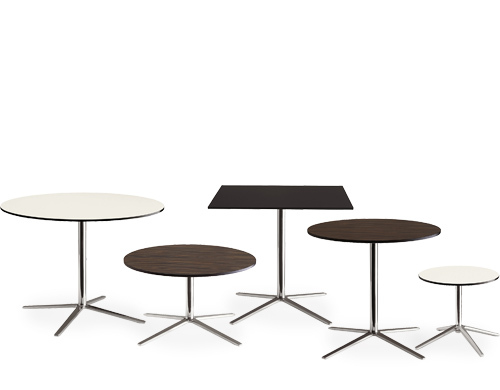 The Cosmos tables are an elegant series designed to complement the cosmos seating range. 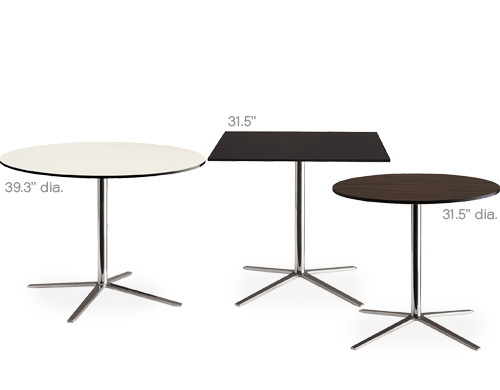 Finished with polished aluminum bases and solid core laminate tops in a variety of height sizes and shapes. In September 1995, Jeffrey Bernett founded Studio B as a vehicle to conceive and promote projects in a wide range of design disciplines. 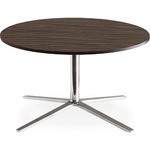 At ICFF in 1996, Bernett presented his first collection of furniture accessories/objects entitled "ideas for production" which were awarded the 1996 Editor's award for the "best decorative accessories" collection. 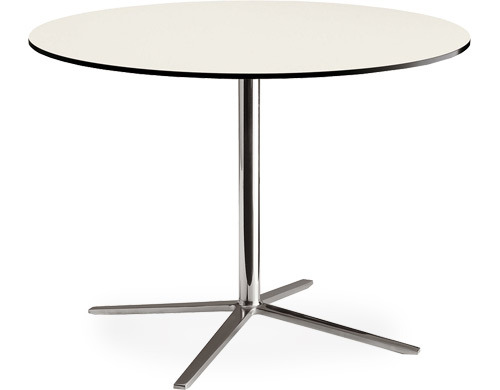 At the ICFF in 2000 Bernett, along with five other designers, was named "best new designer". Bernett continues to design in many areas, for a variety of international clients and is guest lecturer at design schools around the U.S. 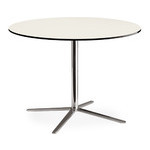 The tables have the same base frame as the chairs and are available in two heights and three diameters in the round versions, while in one height and one width for the square version. Pleasant and minimal, they can be placed beside each other, so they can easily adapt to different home and contract uses. The line is completed with an elegant range of upholstered stacking and swivel chairs. 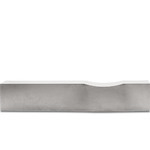 $2,047.00 + free shipping in the continental U.S. In September, 1995, Jeffrey Bernett founded the New York based studio B as a multi-disciplinary design consultancy to conceive and promote projects in a wide range of design disciplines. At the May 1996 International Contemporary Furniture Fair (ICFF) in New York City, Bernett presented his first collection of furniture accessories/objects entitled “Ideas for Production” which was awarded the 1996 Editor’s Award for the “Best of Show”. 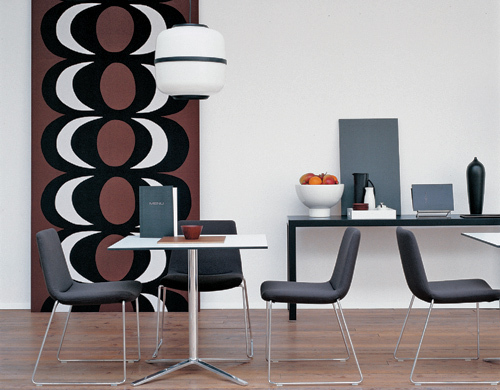 BandB italia was founded in 1966 by the enterprising and charismatic piero ambrogio busnelli. The company quickly became an international reference point for upholstered furnishing thanks to a brilliant new technological process which introduced an industrial approach to manufacturing designer furnishings for the first time in the history of the sector. Over a period of decades, its innovative influence spread to other sectors in home and outdoor furnishings and finally reached the contract furniture market.